"Very central location, self contained apartment with good ai..."
Have a question for AinB Las Ramblas Colon? Offering quality accommodations in the sightseeing, culture, restaurants district of Barcelona, AinB Las Ramblas Colon is a popular pick for both business and leisure travelers. From here, guests can enjoy easy access to all that the lively city has to offer. A haven of rest and relaxation, the hotel will offer total renewal just steps away from the city's numerous attractions such as Barcelona Vibes, Església de la Mercè, and Moll de la Fusta. The hotel is also surrounded by attraction spots such as bars/pubs, bicycle rental service, coffee shops, night clubs, restaurants, salons, and a casino in the town. At AinB Las Ramblas Colon, every effort is made to make guests feel comfortable. To do so, the hotel provides the best in services and amenities. The hotel offers access to a vast array of services, including airport transfer, coffee shop, family room, salon, nightclub. 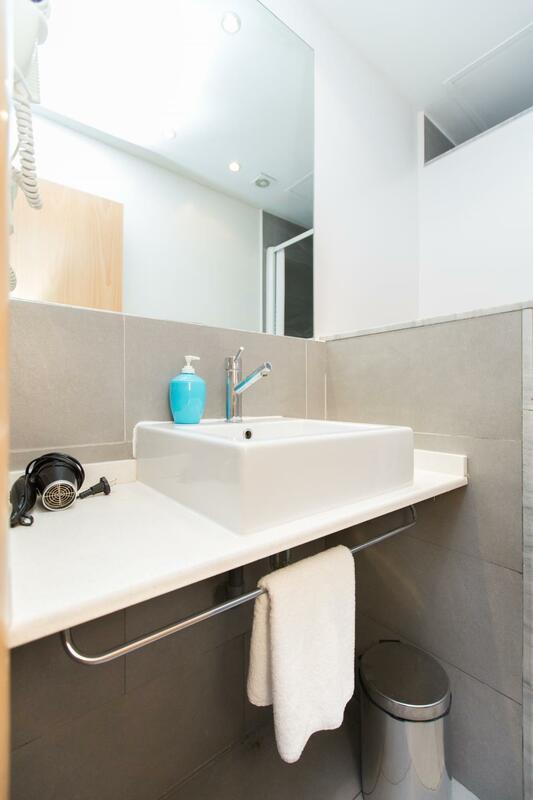 AinB Las Ramblas Colon is home to 12 bedrooms, all tastefully furnished to provide comforts such as air conditioning, hair dryer, desk, shower, ironing facilities. Besides, the hotel's host of recreational offerings ensures you have plenty to do during your stay. 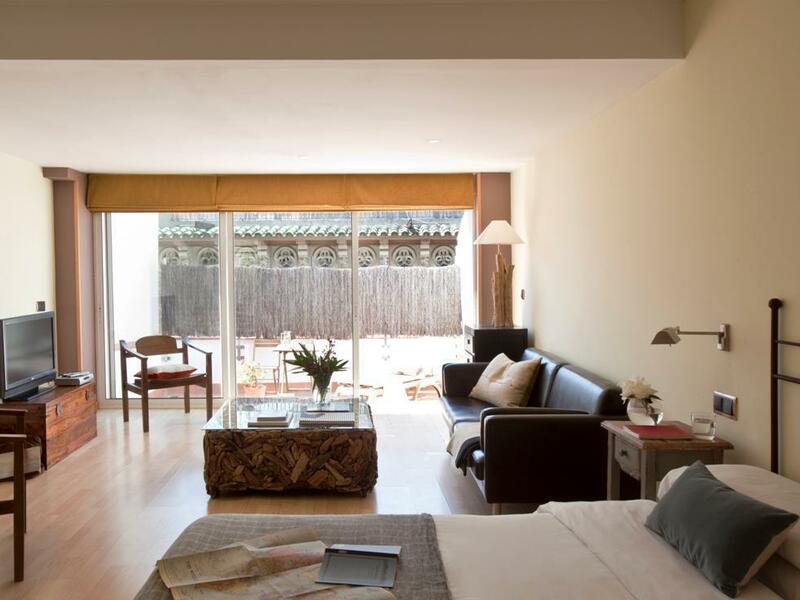 Enjoy unparalleled services and a truly prestigious address at AinB Las Ramblas Colon. Dirty floors, nearly no facilitets in the kitchen, no windows out - only inside the building. Good location, only trouble was the check in reception not in the apartment building. it took 15 minutes to walk there. The apartment was good, but we didn't have a window and there was no cleaning the days we were there. Location was great. Cafes and bars around apartment great. Apartment a bit lacking in crockery and cutlery. Pretty clean but shower could do with some bleach and the drains are a bit smelly but may be symptomatic with being in an old area. All in all ok for the price and location probably makes up for any inadequacies. we waited almost 30mins to check-in, and there is no window facing to streets, so air's quite ugly, room cleaner never showed up to clean or even remove the trash during our stay. kitchen's handy, but dishes are not enough n dirty. in the end the hotel reception let us leave baggage there aft check-out, and provded a bottle of red wine as a compensation. The room I got had no window. which was terribly unpleasant. Additionally, the air conditioner was also poorly functioning. The bathroom was totally ridiculous. No place to hang a towel or to place the soap. The rooms are so close one to another that you can easily hear your neighbor moving inside his room and feel the smell coming from his kitchenette. רמת שירות נמוכה, לא נקי. תשומת לב לפרטים קטנים כגון מתלים למגבות תוסיף הרבה. מיטות לא נוחות. חלון קטן הפונה לחלל פנימי ולא מספק איוורור. this was a great place to stay in barcelona. the location was great and the staff were friendly. the down side was upon arrival there was note on the door with a phone number to call for check inn. we could not even get in the building without calling this number and we did not have a phone that worked in europe. we were lucky that some other guest arrived at the same time as us and had a phone that would work in spain to call the number to be let in. after the first few minutes of what do we do until the other guest arrived they stay was great. the staff took great care of us despite even with our reservations being made only an hour before arrival and the rooms were nice. have fun in barcelona. These are appartments so are un-staffed, when we arrived we called the number and a staff member arrived within 5 minutes. Alot of the rooms are small and without windows, but we were lucky and recieved the biggest room (we travelled in a group of 8 so had booked 4 appartments). The rooms are well equipped for self catering although we treated as hotel rooms and ate out. There is parking virtually directly accross from the appartments which is very convenient (although expensive - euro per night). The best thing is the location - 5 minutes walk to Las Ramblas, or the harbour for shopping, with lots of little bars and retaurants right on your doorstep. A good base for sleeping and breakfast. Initial access is by ringing a mobile number which wasn't as easy as it should have been but once inside the person was helpful and friendly. A good location for exploring the old part go Barcelona. Localización perfecta y el apartamento es hermoso y súper seguro, totalmente recomendable! La ubicación es inmejorable. Perfecto para ir andando a todos los sitios. Amplia habitación (en el studio superior). Como puntos negativos: pedí una cama grande y eran dos pequeñas unidas, un poco incómodo. No sabemos de dónde pero entraba un fuerte olor a comida a ratos. La habitación no tenía enchufes (sólo baño y cocina).